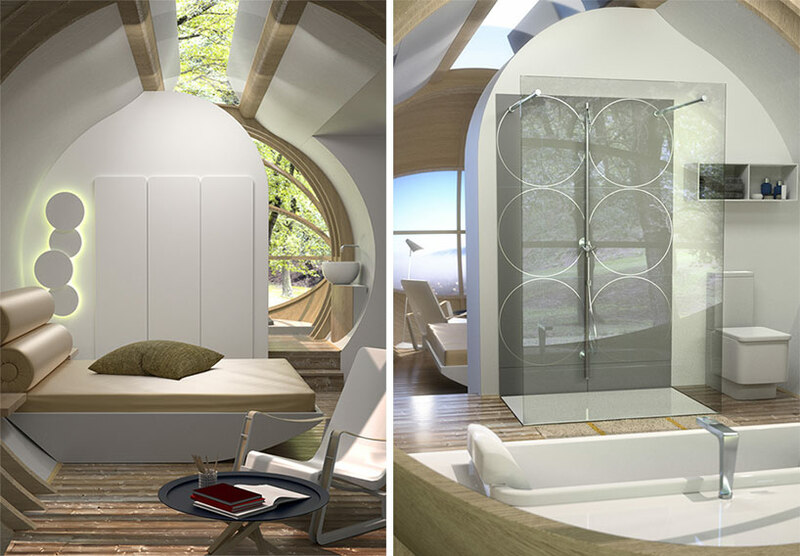 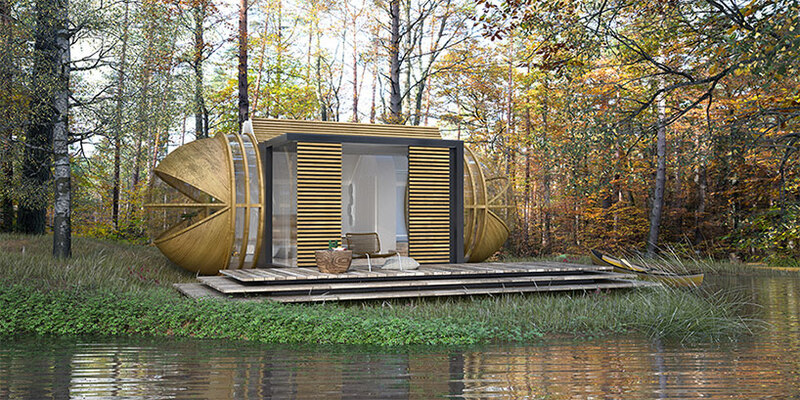 following their award-winning environmentally-conscious DROP eco hotel, barcelona-based practice IN-TENTA introduces the slightly larger DROP XL cabin for the . 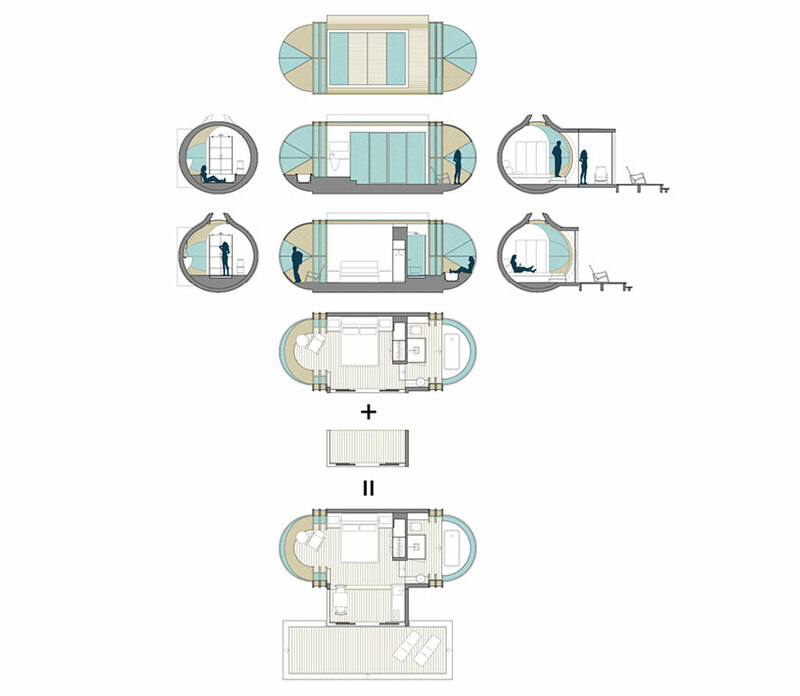 in continuing the principles set forth by the original pods, DROP XL exhibits highly designed micro-architecture suitable to be placed on any site and removed without leaving a single trace. 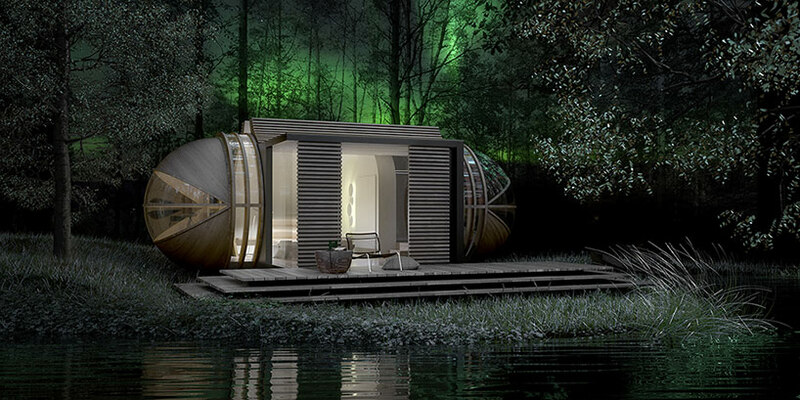 it also features new uses not previously available: hotel room, cabin, or pop-up event structure with the possibility for add-ons such as a kitchen or closet, all within 30 square meters. 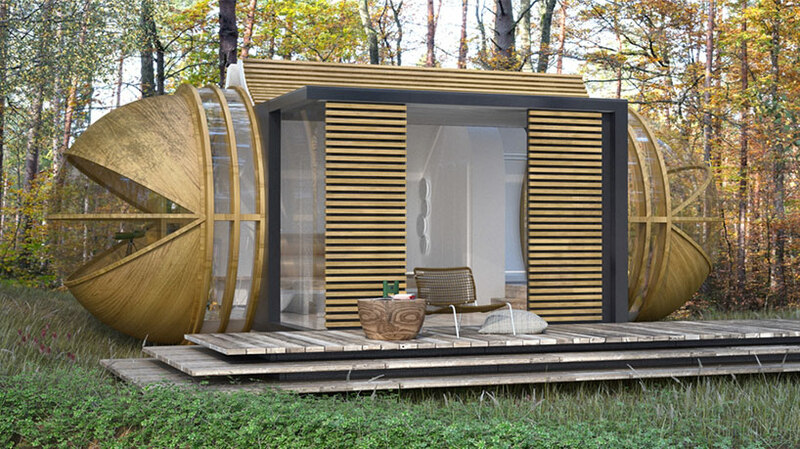 manufactured entirely off-site, the prefabricated pods consists of wood, steel and glass and are supported over adjustable metal legs that only make contact with the ground at single points and accommodate uneven or rugged terrains.